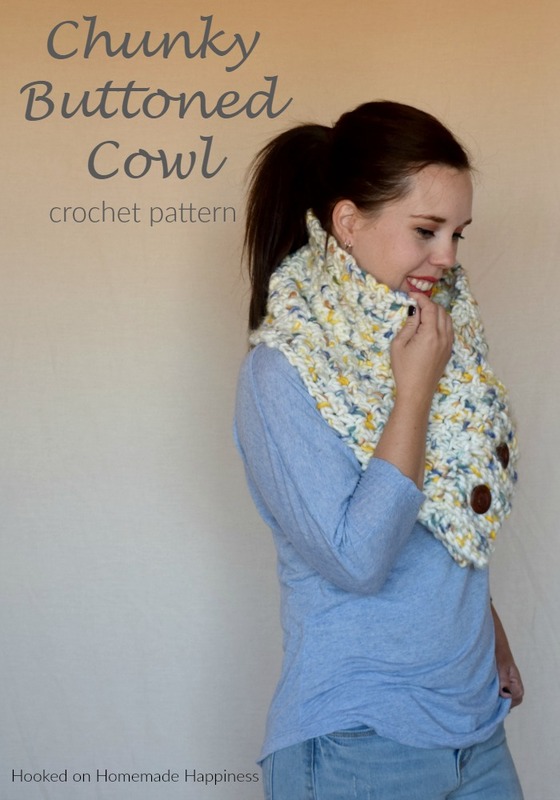 This Chunky Buttoned Cowl Crochet Pattern is big, bulky, and fabulous! 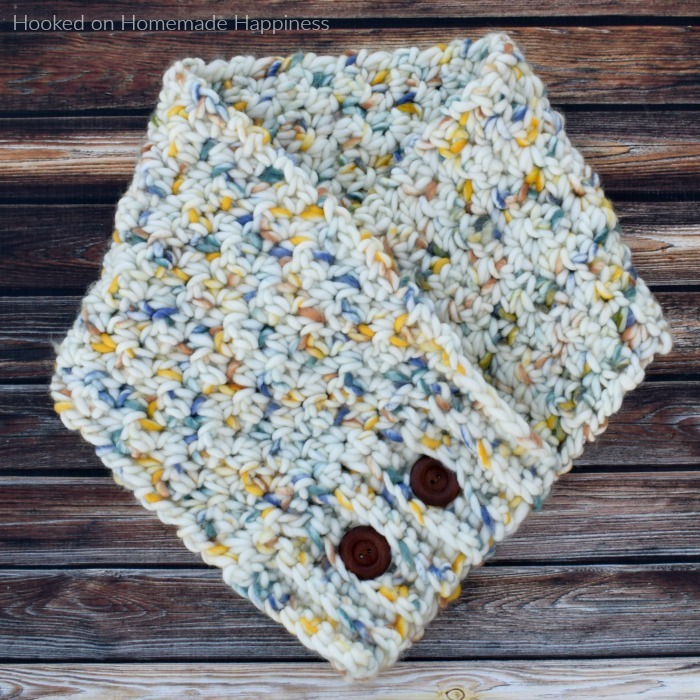 I used this awesome super bulky yarn from Yarn Bee for this cowl and it created a beautiful texture. 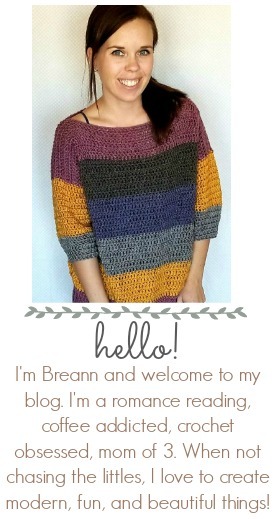 The pattern starts with the easy ribbing (all sc!) 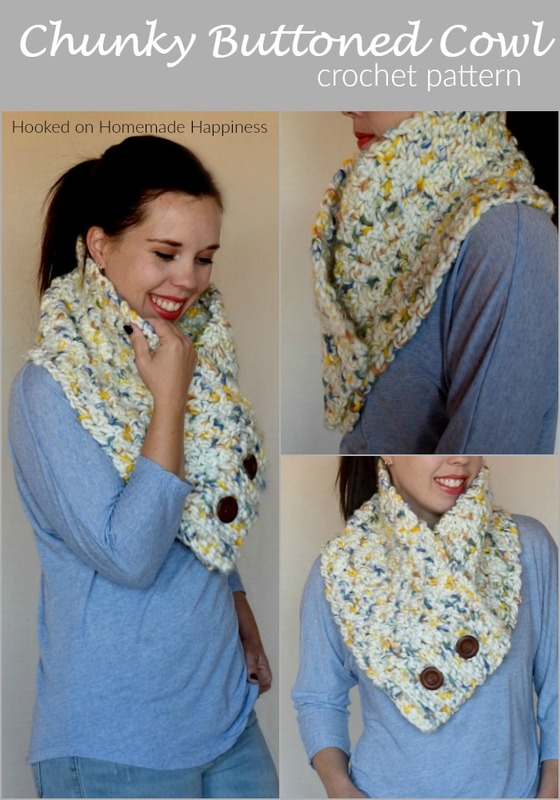 then the main body of the cowl is the lemon peel stitch. 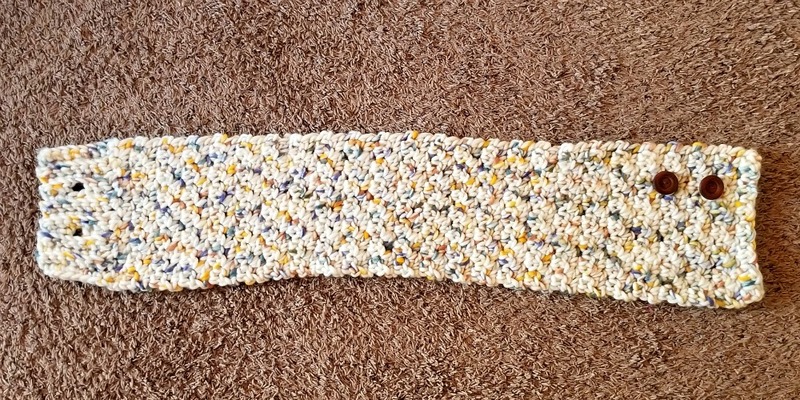 I love this stitch because it’s such a simple texture to create, all dc and sc! 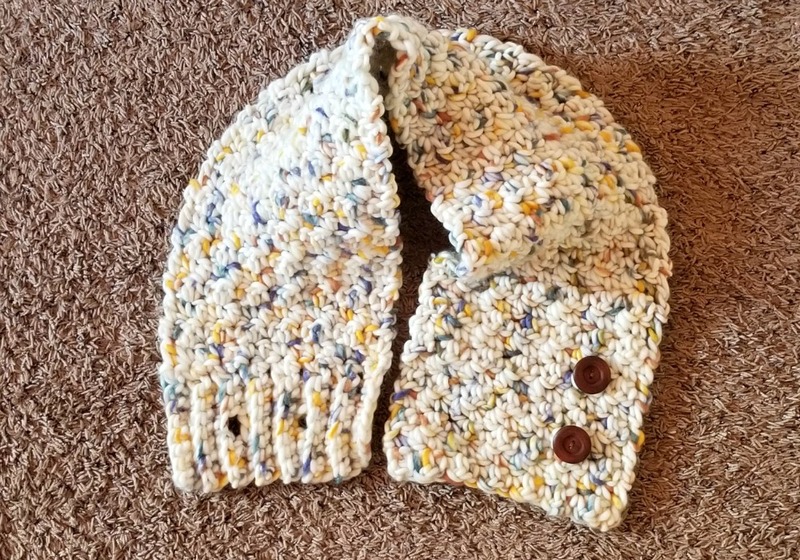 This pattern is very beginner friendly. 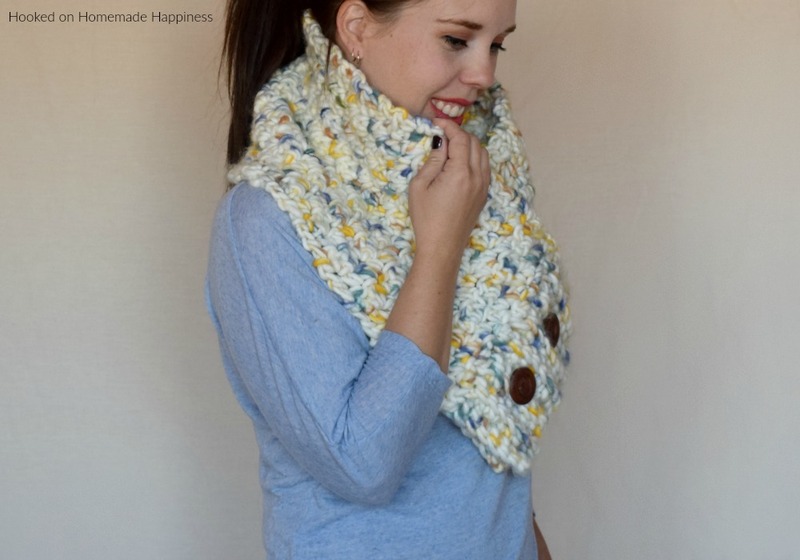 All you need to know are very basic crochet stitches and you can make this warm and cozy Chunky Buttoned Cowl. 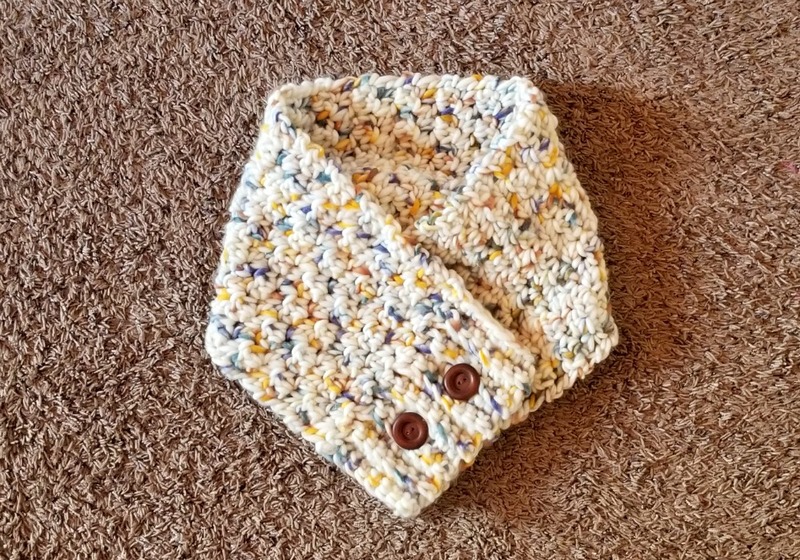 To fold bring both top corners together. You can sew it closed to keep it more secure if you’d like. And that’s it! 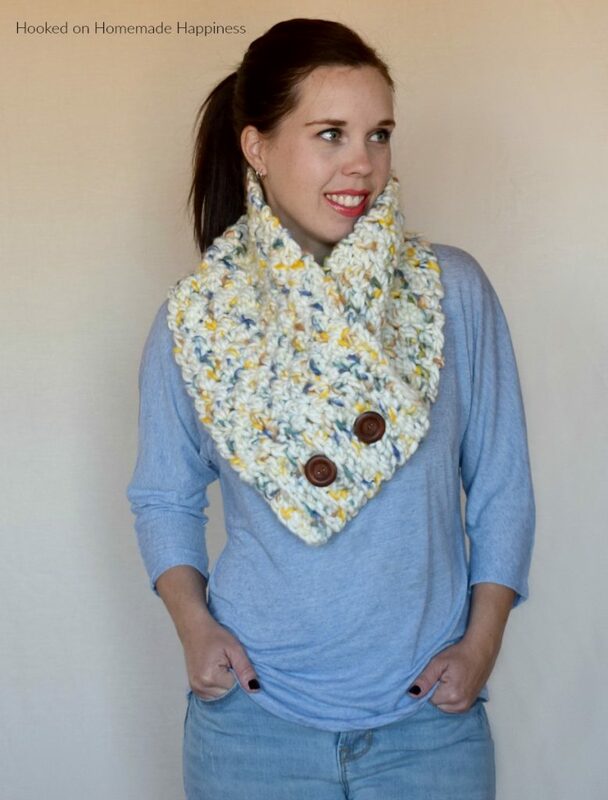 I hope you love this cowl!